John Wick rides on the back of Calamity's quad crasher. 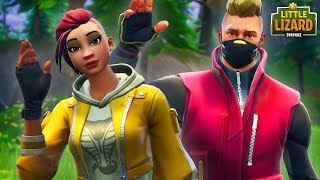 He does the royale wave and Calamity explains how she's going to use her stake harvesting tool to take down Dusk. Meanwhile, Raven and Ravage hang out and keep an eye out for bad guys. Sanctum shows up and rings them out and explains that vampires are way cooler than bird people. 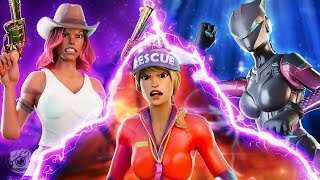 Raven and Ravage are on John Wick and Calamity's tail! 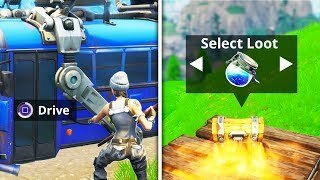 An exciting quad crasher race begins and the battle continues! 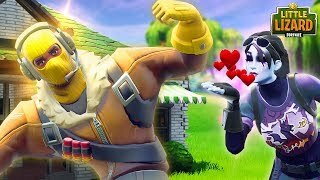 Raven and Ravage falls for Calamity's trick and fly off the cliff! John Wick tells Calamity to drive off a cliff and jump onto his bat glider. 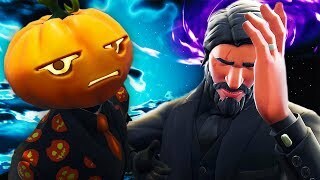 Calamity and John Wick discuss the plan. They're going to go in, and stab Dusk in the heart. John Wick doesn't understand that the stake is not spelled steak but rather stake and isn't edible. They go inside and the showdown begins. Raven and Ravage respawn since they're ghosts. Raven spent a bunch of money on that quad crasher. Raven says they should try to get some of those shadow stones before Dusk gets really mad. 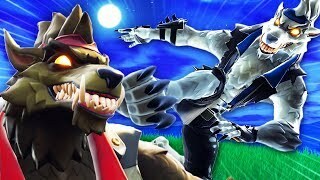 Omen and Dark Bomber have a pet werewolf I guess. 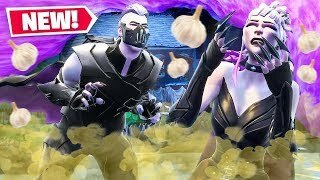 Omen and Dark Bomber discuss nasal congestion before Dire the werewolf awakes. He's upset that they captured him when he was trying to find Calamity and John Wick. 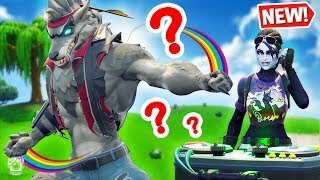 Dark Bomber does love chaos but this kind of goes against everything they're trying to achieve right now. Omen is excited to have a pet werewolf. 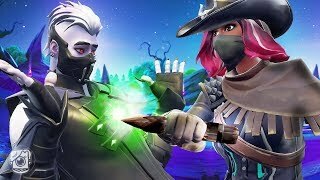 Dire realizes that he can escape and go find John Wick because Omen decided to leave his staff upstairs. John Wick and Calamity come inside and find Dusk. 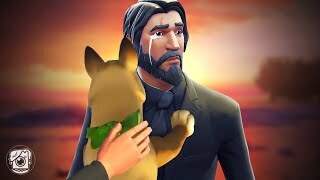 Dusk brainwashes John Wick into trying to kill Calamity. John Wick wants to stay as Batman and not some stupid hero like green lantern. The battle begins. John Wick vs. Calamity. Dusk is satisfied by all this. 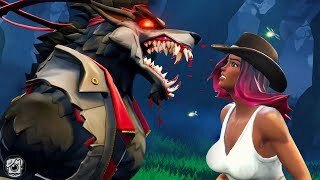 John Wick has Calamity on the ropes but Dire the werewolf bursts through and saves her. Dusk is defeated temporarily. John Wick thinks it's over but quickly Dusk returns and tells John to prove himself he'll have to kill Raptor to prove himself.